This is my god daughter, the fabulous Phoebe. She is 5 years old and lives with her mum Jacquie, dad Shaun, big brother Woody and Denzel, their chocolate Labrador. Phoebe likes to draw. She likes to paint her nails and practice her make up and hair. She likes bouncing on the trampoline, playing with her Barbies, watching Princess films and dressing up like a Princess. She is a typical 5 year old girl. But she is a typical 5 year old girl with a 1 in a million disease. Phoebe has a very rare genetically inherited disorder called Dyskeratosis Congenita (DC). DC is a very complex, incurable condition that causes premature ageing of cells and organs. It is a condition that can lead to bone marrow failure, lung fibrosis, liver cirrhosis and abnormalities of skin and nails, among other conditions. Phoebe has a few symptoms of DC but the most notable and life threatening at the moment is that she has bone marrow failure. This can hopefully be cured with a bone marrow transplant which is currently being planned for the end of November/beginning of December. 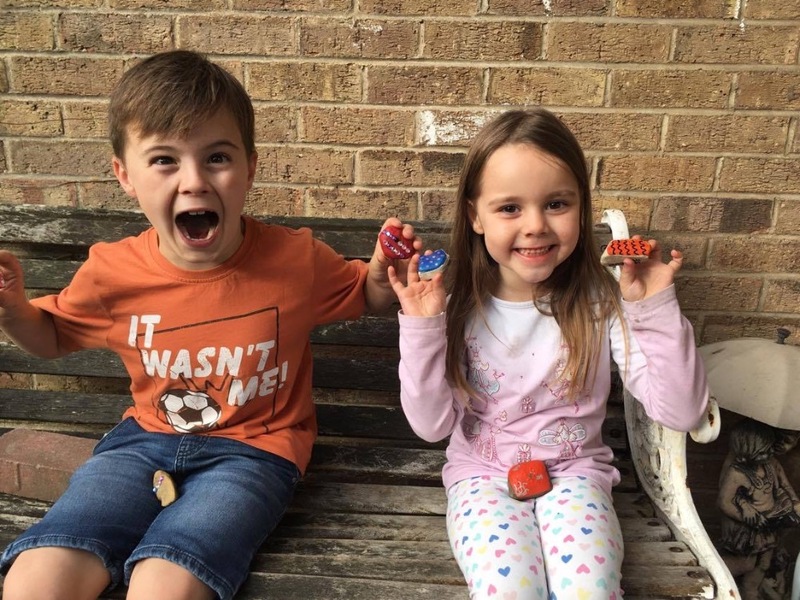 Woody, Phoebe’s brother (who is only 8 years old himself) is soon to be her real life super hero and is donating his stem cells to save his little sister’s life. When Phoebe is admitted into hospital, she will be in for at least 8 weeks and in an isolation room in order to protect her immune system. Following the transplant, when Phoebe comes home, she will be in ‘semi isolation’ while she recovers and probably won’t be allowed back to school until next September. Since May this year Phoebe has been having regular visits to Royal Manchester Children’s Hospital where she has endured numerous checks, tests, platelet and blood transfusions. Throughout it all she has remained utterly fabulous and undaunted. Even the knowledge that she will lose her hair hasn’t fazed her! She knows it will grow back and until that time she intends to fully embrace it by wearing “a red, sparkly headscarf!” She truly is a warrior princess! Phoebe has become a minor celebrity where she lives and people continue all the time to offer encouragement and want to do their bit, raising money to show support to Phoebe and her family. Therefore, Jacquie has asked me to set up a page where people can donate money in support of Phoebe. From Phoebe’s first hospital admission, Jacquie, Shaun and their family and friends have been actively fundraising and have already raised £2200 for Ward 84 and the Bone marrow transplant unit at Royal Manchester Children’s Hospital. However since Phoebe’s diagnosis of DC, Jacquie and Shaun would now like any further money raised by people to be split between a charity in America, DC Outreach and one in the U.K., DC Action UK. At a time when they have felt very scared, isolated and alone, with no one to answer their questions, DC Outreach, has been their lifeline, providing support for them from people who are in the same position and putting them in touch with specialist doctors. Both charities aim to raise awareness of DC, provide support and advice for people affected by it and advocate research and expert care and effective treatments. Thank you so much for reading this to the end. Jacquie, Shaun, Woody and Phoebe are four of my favourite people in the world (even though I have always been and will always remain their constant source of entertainment and ridicule – a bit like a female version of Ross in Friends!). Watching them continually show superhuman strength, battling to ensure that Phoebe receives the best care possible, is both heartbreaking and awe inspiring. I am honoured to have them as my best friends. Please help me to raise awareness of this condition by sharing my link to your Facebook timeline so that Phoebe and families like Phoebe’s can be diagnosed quicker, given the best support from experts and have access to the most effective treatments available. So it's been 3 months since I set up Phoebe's fund and so much has happened since then so I thought it about time I wrote an update. On the first of December 2017, after donating his bone marrow for his little sister, Woody switched on the machines that gave Phoebe his life saving stem cells and at the same time created her second birthday, just like the Queen. Altogether Phoebe stayed in hospital for 9 long weeks, including over Christmas. She suffered lots of difficult times, including chemotherapy which she had prior to receiving the stem cells. As a result of this she lost her lovely long hair. But despite everything, Phoebe has remained strong, resilient and fabulous. Throughout all his time, Jacquie and Shaun were with her constantly. Jacquie moved into Manchester Children's Hospital for Phoebe's entire stay, which meant, like Phoebe, she was away from Woody and Denzel, their Labrador. Phoebe is now at home, but for the next six months remains in semi isolation, ensuring that she makes a full recovery from her bone marrow transplant. She is mainly fed through a tube but is also eating and drinking small amounts now, more and more as time progresses. She has to avoid crowds and busy places, eat and drink clean and safe and stay away from even the most minor illnesses while her new immune system develops. She continues to have weekly check ups at MCH which are reassuring and positive for the family. Jacquie and Shaun have been overwhelmed by everyone's love, support, kind words, cards and gifts. And of course the contributions to this fund, which have been absolutely amazing. We are now just £83 off £5000!!!! Thank you so very much. And fundraising events are continuing to be arranged all the time, including 'Ride for Pheebs' - a 200 mile bike ride from Lancashire to Scotland and back by 8 guys who are friends and family of Phoebe's, Jacquie's big sister Emma and some of her paramedic friends are doing the Yorkshire three peaks challenge and then there is my lovely 17 year old teenage dirtbag, Will, who is shaving off all of his lovely boy band hair this coming Saturday!!! 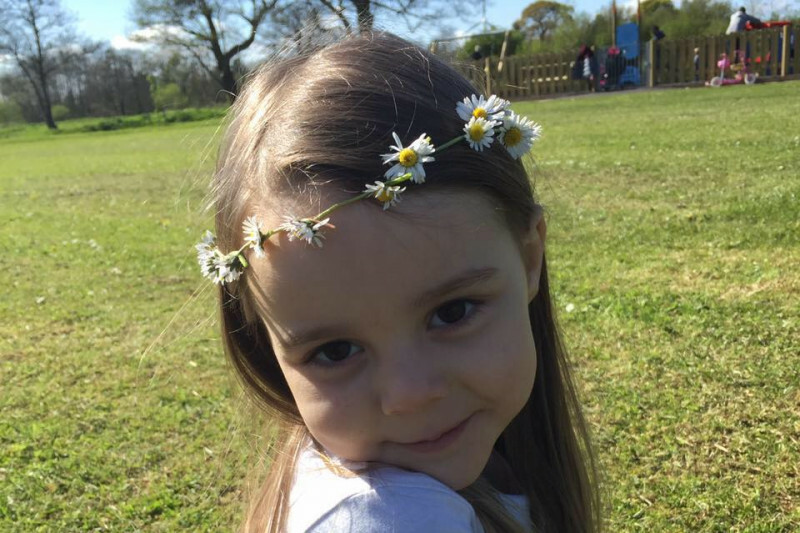 All the money raised on this page and associated pages, at Jacquie and Shaun's request, is going to be split between the two charities DC Outreach in America and DC Action UK, to help in further research for this rare condition and to help support others like Phoebe and her family. In Jacquie's words, Phoebe's future remains uncertain but with your help raising money we hope a cure will be found in Phoebe's lifetime.